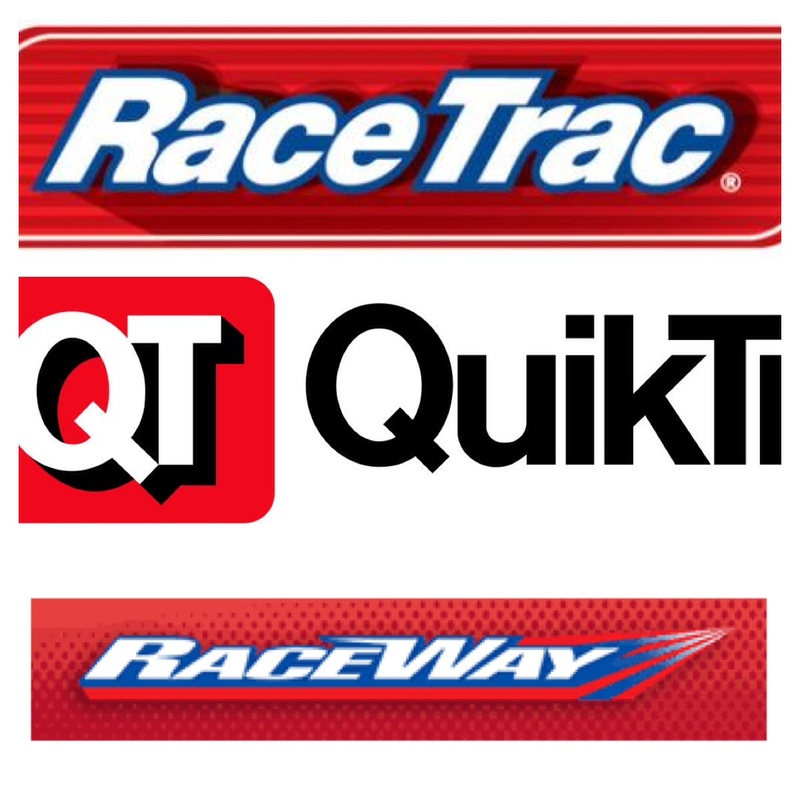 Atlanta-based RaceTrac and Tulsa, Oklahoma-based QuikTrip are both nearing completion of new metro stores. RaceTrac, through its franchised brand RaceWay, will soon open a new location on Buford Highway in Doraville. RaceWay is not identical to RaceTrac, but customers can look forward to finding a new, well stocked convenience store. Raceway is franchised, whereas RaceTracs are all corporately owned. The fact that a RaceWay is franchised gives the franchisee more flexibility in layout and offerings as they are not required to adhere to the "RT6K" store design of new RaceTracs. Things like frozen yogurt, expanded food options and beer selection may be present but are unlikely. RaceWay is much more of a standard convenience store that the new age RaceTracs of today. Dorvaille has seen quite a bit of activity over the past year or so. McDonald's recently opened a new location on the site of a former bank, while Krispy Kreme will soon add a new location in the same center. A few blocks south, a new Zaxby's will replace what had been a Krystal. Just inside 285, a new, next generation QuikTrip opened last year. A RaceTrac source tells me there is not a firm opening date for the Doraville location but that it should be open "early fall." A new RaceTrac is coming to Norcross. The new RaceTrac will open at 6875 Jimmy Carter Boulevard, as part of a larger redevelopment of the area. The new RaceTrac is located across the street from a shuttered B.J. 's Wholesale and adjacent to Peachtree Industrial Boulevard. Despite signage at the location for what seems like a year, work has only recently begun in earnest and I'm told the hope is to have the station open by late December. Additionally, RaceTrac is adding a second location to Camp Creek Parkway. After opening a new "RT6K" location at 3503 Camp Creek Parkway across from Camp Creek Marketplace earlier this spring, a second location is being added at 2250 Camp Creek Parkway. The new RaceTrac will be of similar size and is slated to open in early November. The tv wo locations are about 4.5 miles apart and serve entirely different populations. The existing location is in East Point, near Interstate 285 and a number of large shopping centers and residential communities. The upcoming RaceTrac is located in College Park, off Interstate 85 and a stone's throw from multiple airport parking lots, as well as numerous airport hotels and Hartsfield-Jackson Atlanta International Airport. Last month, RaceTrac opened a new location on Old Milton Parkway in Alpharetta, across the street from what was once the failed Prospect Park project that has now been rebranded "Avalon." QuikTrip is keeping pace with its local competitor and is replacing an existing location on Chamblee Tucker Road with a new location, basically across the street. Many see this as a defensive move, preventing RaceTrac or any other would-be competitor from opening near what is surely a successful location for QuikTrip. It's unknown to me what if any plans QuikTrip has in the immediate future for its current location, but I would guess it may be used for one, if not two, fast food establishments. The new QuikTrip should be open by late October. A corporate source at QuikTrip indicated to me that the new QuikTrip proposed for the corner of Howell Mill and Defoors Roads is still in the works, and apparently has received necessary zoning approvals, but was without an opening timeline. The source went on to say that QuikTrip has "plenty more upcoming in the Carolinas." QuikTrip entered the Carolinas with a store in Boiling Springs, South Carolina in late 2011, and in Charlotte, North Carolina, in early 2012. Since then, the Carolinas have been prioritized as a growth market for the company with over 30 locations already open, and more in development. For its part, RaceTrac has continued its Florida expansion, adding new locations in central and south Florida. Today the company operates over 150 locations in the sunshine state and has many more in development. According to a store map, the company has ventured as far south as Miami, central as Orlando, and northeast to St. Augustine, but Tallahassee and Pensacola appear to be untapped markets for the company. What would you like to see replace QuikTrip's outdated location on Chamblee Tucker Road? A Bojangles' perhaps? 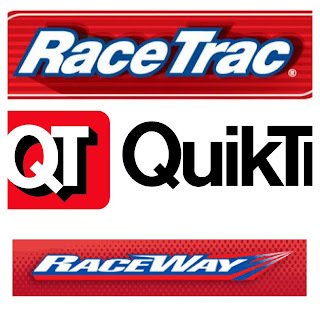 Do you prefer RaceTrac, RaceWay or QuikTrip, why? Have you taken advantage of RaceTrac's Sodapalooza or tried something tasty from QuikTrip's expanded frozen treat menu? Please share your thoughts below. The National Association of Convenience Stores (NACS) is once again holding their annual convention in Atlanta in October. I will be on location at the Georgia World Congress Center checking out the latest and greatest in the C-Store world. What items should I look for? What product(s) would you like to see carried in your local C-store? What if any amenity or product makes you choose one brand over another? Feel free to comment below or send me an email and I will do my best to get your questions answered. I like to see 7-Eleven come back to Metro Atlanta Area and compete with QT and RaceTrac. I, for one, would like to see Flamin' Hot Fritos return to the Atlanta market. QuikTrip sold them around 1999-2000 in the Big Grab size. If you talk to anyone who can work with Frito-Lay to get them back here, I'd gladly treat you to a bag of 'em. I Noticed a Cicle K at the corner of CBR and LaVista. Is Circle K returning to Atlanta? I remember thatthey previously bought up the 7-11s. I believe Circle K is making a return to the ATL market as that is not the only location I've seen. In most cases they seem to be operating the C-store, and not the gas station portion of the business. the new Raceway at 7140 Buford Highway Doraville is now open.it is just as described in the article. The grand opening gas price for regular is 335 mid is 350 Premium is 365 and diesel is 379.